In This Game, Your Goal Is To Protect The Last Coffee Plant From Alien Monsters. You Have A Fruit Gun As A Weapon, And Fruits As Bullets. You Simply Navigate The Gun Towards Monsters And Shoot Like A Hell!! Read More/Download. This Game Has Been Released By Bandai Namco Entertainment In Google Play Store. It Is Based On Japanese Manga Series[TV Series] Of Saint Seiya Or Knights Of Zodiac. However, Game Is Not So Great. But You Can Try It If You Like. Read More/Download. If You Are Looking For Dragon Ball Z Fighting Game On Android, Then You Should Play This Game. Because DBZ Fighting Game Is Not Yet Available[But You Can Play With PSP]. But Without PSP? You Can Play This Game To Experience Dragon Ball Z Like Gameplay. Read More About This Game/Download. NetEase Games Has Just Released Another Battle Royal Game On Google Play Store. This Game Is Almost Copy-Paste Of Rules Of Survival Game. I Recommend You To Play Rules Of Survival Game Instead Of This Copy. However, Choice Is Yours. Download – Here. Sega After Sonic Strike Force, Released Another Game That Joins Sega Forever Series. 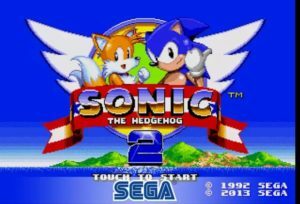 “Sonic The Hedgehog Is Sega’s Best Classic Game” And Now On Android. Read More/Download. If You Are From Canada, Then You Can Play This Game. This Game Will Out For All In 2018, Currently Is In Soft Launch. Read More/Download. Naruto X Ninja Voltage – Bandai Namco Entertainment Finally Released This Action Strategy Game On Google Play Store. In This Game, You Build Your Strongest Fortress, Protect It From Others. Compete With Players From All Over The World. Read More & Download. It Is A Sequel To Oen Of The Most Popular Room Escape Game. You Find Clues, Use Your Mind And Find The Way To The Final Point. It’s A Great Addictive Room Escape Puzzle Game. However, Some Levels Are Paid While Few Of Them Are Free. Read More And Download. Rainbow Rocket Is A New Arcade Game With A Good Concept. Your Goal In This Game Is To Destroy All Meteors, Asteroids Before They Break Rainbow. You Have To Protect Rainbow At All Cost. It’s A Great Fun Time Killer Game. Read More And Download. It Is A New Platformer Shooting Game In Which You Have To Stop The Tower Which Is Releasing Harmful Gas. In Your Way, You Fight With Strange Creatures And Boss. Collect, Upgrade, And Complete Your Goal. Learn More/Download. This Is Not A New Game, But Previously There Was Only Paid Version Available. Recently, Developer Of The Game Released Free Version On Play Store. In This Game, You Follow The Journey Of Red Hook And Defeat Monsterous Skyfish. It’s A Great Adventures Puzzle Game. Learn More/Download. If You Know About PUBG – PlayerUnknown’s Battle Ground Game Then You Can Guess About This Game. It Is Totally Similar To PUBG. Your Goal In This Game Is To Survive And Be The Last One[Alive]. Learn More/Download. SEGA Finally Released This Game Worldwide On Play Store. However, There Is No Offline Mode. You Play It Online With Real Players Around The World In Real-Time. Your Goal Is To Be The First One To Complete Race. Learn More/Download. Developer Of This Game Released Demo Version Of This Game On Play Store. This Is A Great 3D Dungeon Crawler Game In Which You Fight With Skulls, Monsters For Freedom And Survival. Learn More/Download. 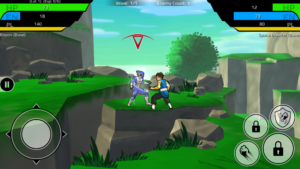 Beat Street – Beat Street Is A New Classic Retro- Style Android Game In Which You Defeat Waves Of Enemies With Your Punches And Shows Your Fighting Skill. Complete Missions And Upgrade Your Fighter. Read More And Download. Adventure Communist – It’s An Idle Clicker Game. Perfect For Time Pass. You Just Click, Click, And Click To Play This Game. Firstly You Dig Potatoes, Then Buy Farmers, Then Collectives. You Can Read More About This Game Here. Lineage 2: Revolution – This MMORPG Game Is Now Available For Pre-Download. It’s An Open World Role Playing Game With Console Like Graphics. Read More And Download. Google Cricket, PAC-Man, And Solitaire – These Three New Mini-Games Are Now Built-In Google Play Games App. The Latest Update Is Currently Rolling Out For Everyone. Learn More. This Game Is Now Available Worldwide. 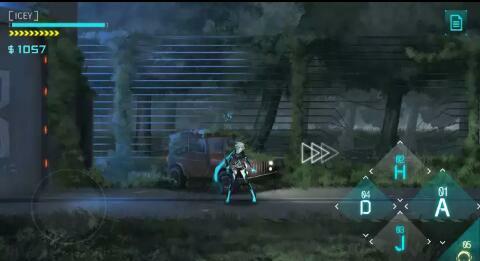 It’s A Strategy Based RPG For Android With Anime-Styled Characters, 3D Style Battles. You Can Play With Friends And Against Friends. Read More And Download. 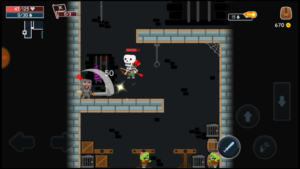 It’s A Roguelike Adventures, Platformer Game For Android In Which You Have To Reach Final Point. 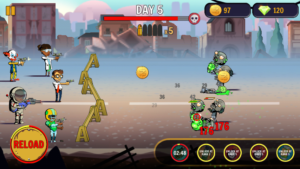 In Your Way, You Have To Kill Zombies, Soldiers, Machine Guns. It’s Not Easy Like Other Platformer Games. Read More And Download. Finger Road Is An Arcade Game With One Touch Game Play. It’s Little Bit Similar To Mmm Fingers 2. You Keep Your Finger On Road And Avoid Obstacle. It’s A Great Time Killer Game. Read More And Download. Reload: Z Team Is A New Zombie Shooting Game For Android In Which You Play As A Survivor. You Have To Expand Your Team Z With More Survivors. This Game Comes With Many Amazing Characters. Each One Has Some Special Skill And Weapon. You Kill Zombies With Guns, Grenade, Flash Bomb, And Many More Weapons. Once The Battle Starts, You Have To Target Those Stupid Zombies. If The Number Of Zombies Increased Then Use Special Weapons Like Grenade, Missile Etc. 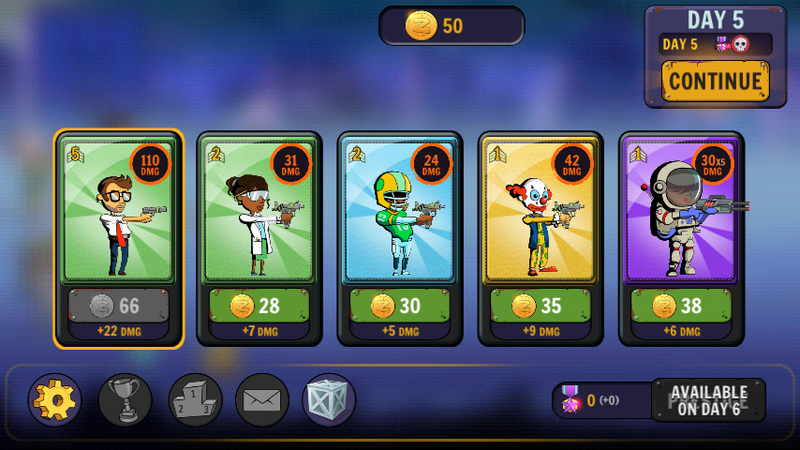 Collect Coins And Upgrade Performance Of Your Survivors. You Unlock New Survivors By Completing Levels, Open Crates Or By Watching Video. Head To Base To Re-Select Your Survivors For Battles. You Will Get Daily Rewards(In-Game Currency) For Playing The Game Daily. It’s A Challenging, Entertaining Zombie Game With Lots Of Hard To Clear Levels, Many Characters. 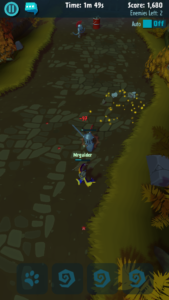 Gameplay – Excellent, Hours Of Gameplay With Non-Stop Action. Graphics – Excellent. However, It Would Be Great If Game Loads Fast. Download: Here(Play Store). Size – 90 MB. 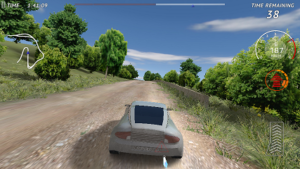 Rally Fury – Rally Fury Is A New Entertaining, Awesome Racing Game For Android. Choose From Dozens Of Car, Customize It, Win Race, And Complete Goals To Unlock More Cars. Read More And Download. Space Cat – It’s A Unique Cat Game In Which Your Goal Is To Expand Cat Species. You Have To Merge Same Cat Species To Get New Cat Species. It’s A Great Time Pass Game. Download: Here. South Park: Phone Destroyer – Ubisoft, Developer Of This Game Launched This Addictive Car Game Worldwide. Read More And Download. Jurassic Survival Island: Ark 2 Evolve – It’s A Great Survival Game In Which Your Goal Is To Survive As Long As You Can. You Have To Find Natural Resources, Find Things To Build Shelter And Take Care Of Yourself. Read More And Download. Thermal Rider – Thermal Rider Is A Sky Diving Game In Which You Control Your Character, Collect Rings, Thermals, And Face Obstacles. This New Game Comes With 8 Different Locations, Over 50 Wing Suits. Read More And Download. Overdrive – Ninja Shadow Revenge – In This Game, You Play As A Ninja And Defeat Waves Of Enemies, Battle With Deadly Bosses. Read More And Download. Jelly Crush Is A New Puzzle Game Like Candy Crush, Bee Brilliant. You Can Play This Offline Also. Swap And Match Jellies Of The Same Color, Boosters Helps You To Score More Points. 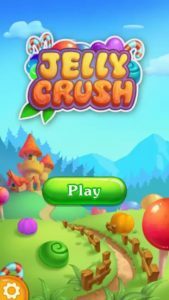 Jelly Crush Game Comes With Over 400 Addictive Levels. Graphics And Controls Of This Game Are Excellent. Download: Here, And Enjoy Jelly Crush’s Adventures. Mine Dasher – Mine Dasher Is A New Arcade Game. It Is A Great Time Killer Too. You Have To Follow The Blocks, Collect Points. But Avoid From Being Fallen Down. Download: Here. Zen Koi 2 – A New Relaxing Fish Game For Android. Read More And Download. 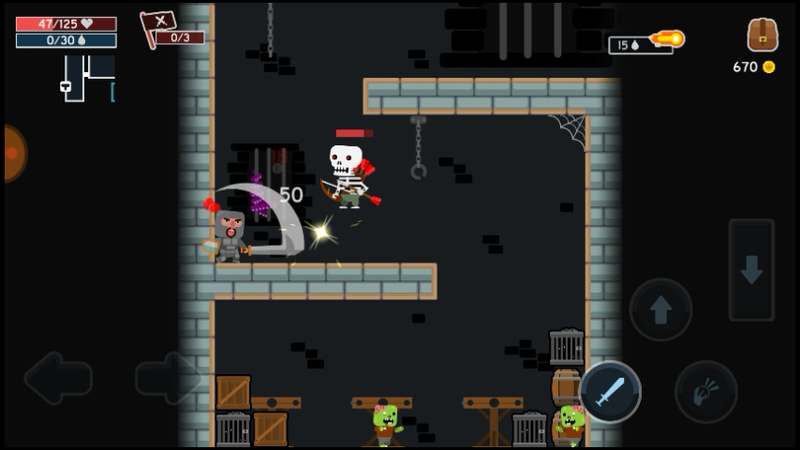 Dodge Hard, – A New Retro-Style Shooting Game For Android, Play As Robot And Destroy Underground City. Read More And Download. 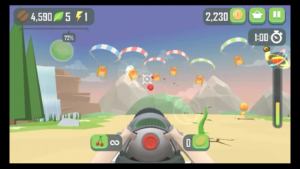 Air Force X – A New Great Aircraft Shooting Game For Android. Read More And Download. Car Smash – It’s A Great Car Smashing Game And Better Than Means Machine Game. Download: Here. Antidote – It Is A Defense Game In Which You Face Bacteria And Virus. Download: Here. New – Final Fantasy Dimensions II – It Is A New Role Playing Game Released Recently On Google Play Store. Learn More[Paid Game $15}. ICEY Is A New Role Playing Game By X.D. Network Released Recently For Android On Google Play Store. In This Game, You Play As ICEY, A Girl Character Who Has No Past, No Memories. Her Only Goal Is To Kill Zudous. You Follow The Narrator’s Voice Or Arrow And Face Obstacles. 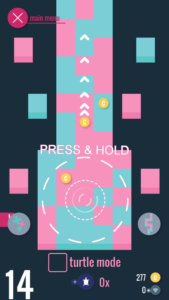 Controls – Dodge, Attack, And Jump. Learn More[Piad Game]. This New Android Game Is Currently In Early Access Mode. You Can Download It From Google Play Store. In This Game, You Walkthrough 12 Chapters – Each Chapter Has Some Levels. More Than 2 Playable Characters With Different-Different Skills Are Available. You Can Choose One Type Of Equipment For Battle i.e. Bow, Sword. Graphics And Game Controls Of This Game Are Excellent. Learn More[Free Game]. SuperTuxKart Is A New 3D Open Source Game For Android In Which Three Types Of Game Mode Are Featured – Single Player, Story Mode, Multiplayer. More Than 10 Character And Each Character Has Different Vehicle. You Can Play This Racing Game Offline. However, Some Of The Features Are Not Available In Offline Mode. Learn More[Free Game]. This Is The New Classic Mobile Game By Sega Which Recently Joins Sega Forever Series. In This Game, You Play As A Headless Hero And Kill Those Bad Guys With Your Special Attack. This Game Comes With Two Modes – Ad Free And Ad Supported. In Free Mode, You Can Save Progress Only To Cloud, Internet Required. While In Premium Mode, There Is An Option Of Save Game Progress To Local Offline. Learn More[Free Game]. 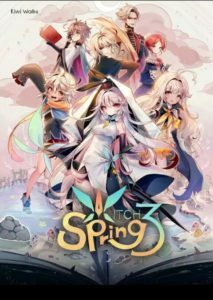 Witch Spring 3 Is The Third Part Of Witchspring Series. In This Game, You Play As A Cute Witch Who Lives In Her House In Mist Forest. She Craft Items, Discover Magic, And Train Herself In Home. Outside Home, She Encounters With Warriors And Shows Her Skills. Learn More[Paid Game]. Noodlecake Recently Released Death Road To Canda For Android On Google Play Store. Game Design Is Same As The PC Version. 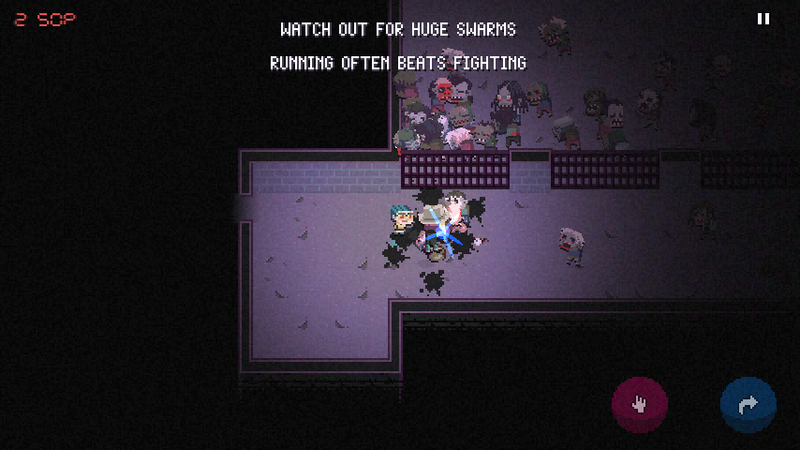 In This Game, You Play As A Random Player With Your Friend Who Also Helps You In Fighting With Zombies. This Is One Of The Best Time Killer Android Game. You Explore Different-Different Places And Complete Missions, Kill Enemies Waves. Learn More[Paid Game]. It Is A Survival Game In Which You Are In A Shelter With Your Family. You Have To Take Care Of Them, Protect Them From Diseases. Craft Necessary Items Like Bed, Toilet, Shower Etc. Add Fuel To Generator Time To Time, Fix Or Upgrade Your Limited Resources. You Can Customize Your Family Characters. Your Goal In This Game Is To Survive As Long As You Can. Learn More[Paid Game]. Bee Brilliant Blast Is The Sequel Of Popular Bee Brilliant Game. This Game Is Similar To Candy Crush. You Have To Match Same Color Tiles To Score. 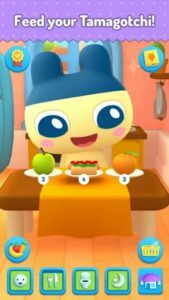 Each Level Of This Game Comes With A Different Task That You Have To Complete With Limited Moves. Use Power-Ups To Score Fast. If You Lose All Life Then You Have To Wait. Learn More[Free Game]. Means Machine Is A Car Game In Which You Control Your Car Machine And Attack On Other Cars. Variety Of Battle Places Are Available Where You Attack On Other Cars. Game Comes With Single Player, Multiplayer Online Mode. Your Goal Is To Destroy Your Opponent Car – Simply Hit!! Learn More[Free Game]. This Game Is Currently In Early Access Mode. In This Game, You Build Your Deck And Fight In Player Vs Player Arena. Battle With Other Players In Real Time. Assemble Your Deck And Select Your Champion From A Range Of Heroes. Each Champion Comes With Their Own Exclusive Ability. Download: Here. Size – 68MB. Price – Free. It Is A New Arcade Game. 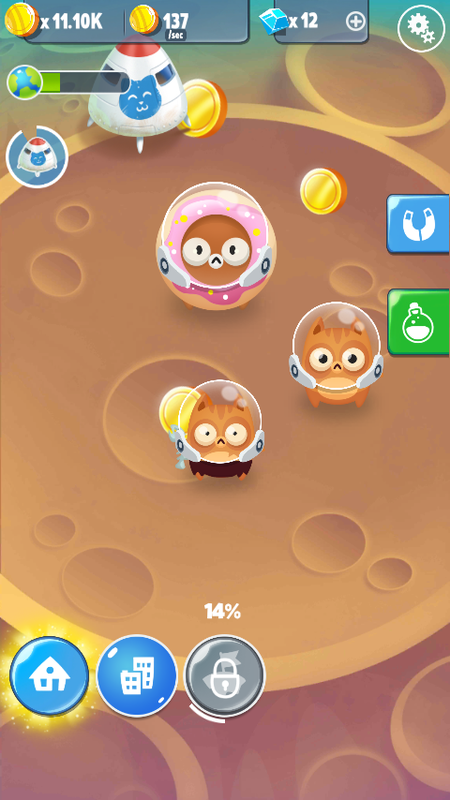 In This Game, You Play As Little Fox And Other Characters. You Chase The Evil Dr. Blaze Who Kidnapped Your Cute Jellyfish. Graphics And Controls Of This Game Are Great. You Have To Tap Where You Want To Move. You Will Face Obstacles While Collecting Jellyfish Bubbles. This Game Comes With Tons Of Challenging Levels. Download: Here. Price – Free. Size – Under 50MB. In This Game, You Play As A Cute Character. It Is A Puzzle As Well As Arcade Game Currently In Beta/Early Acess. Your Goal In This Game Is To Find The Right Path For Amy. You Use Boxes To Make A Path. This New Game Comes With 5 Beautiful Worlds. Each One Has Dozens Of Level. Download: Here. Price – Free. In This Game, You Play As A Water Drop. It Is Also In Beta/Early Access Mode. This Indie Game Can Be Play Offline. You Have To Control Water Drop Man – Left, Right, And Jump And Face Obstacles. Price – Free. Download – Here. It Is An Endless Balance Game In Which You Have To Balance A Stack Of Sacks. Your Goal Is To Balance Stack Of Sacks As Long As You Can. Controls – GamePad Support, Android TV Support, Tilt Phone, Use Touch. Learn More[Free Game]. Upcoming – South Park – The Phone Destroyer – Launch Date – November 9(Worldwide). In Soft Launch – Animal Crossing-Available In Australia Only. For More Game Updates, Like Us On Facebook – MrGuider. Follow Us On Twitter – @techhuntr. Subscribe Us. Submit Your Feedback/Suggestions Here.